M.C. and I returned late last night from a road trip out to New Mexico for my high school reunion. After driving thirteen-hours twice in less than four days (I was co-pilot, but it counts), I am in serious need of a decompression chamber. One with vodka. And chocolates. In fact, if I were designing a decompression chamber for myself, it would be a place stocked with those two things, and it would staff a full time Thai masseuse. Now we’re talking. I’m kidding of course. I wasn’t disappointed. I was pleasantly surprised that these little guys represent various virtuous traits, and bestow gifts of strength to those posessing them. 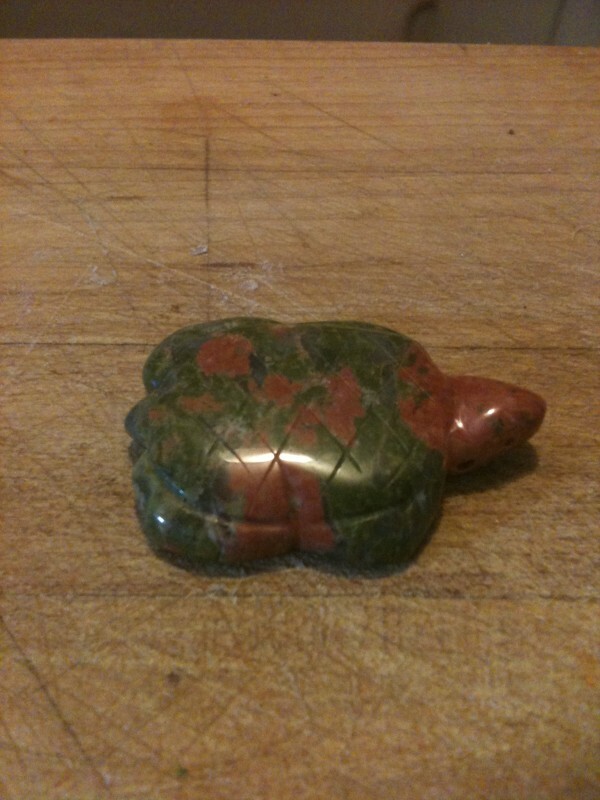 I chose the turtle, because he is the symbol of Mother Earth and gives the gift of longevity. Lord knows I need that. The class reunion was held at the Sandia Resort & Casino in Albuquerque. We learned pretty damn quick just how “Indian Gaming” works. It works without alcohol, at least on the casino floor. I know. My jaw was the only hint of alcohol that casino floor had ever seen, and that was the residual alcohol left-over in my mouth from the six cocktails I’d had during the dinner and slide show. Yes, I’m exaggerating. It was four. It wasn’t the first reunion the class had held, but it was the first I’d been able to make (I was busy being a single mommy, traveling the globe working on shows with MTV, and other networks, and stuff. People couldn’t blame me.). It also wasn’t the school I actually graduated from. But I was a JV Cheerleader at this school prior to running kicking and screaming as far away from Catholic School as I could get, to the public school I eventually graduated from. Whenever anyone asks why I would attend this reunion rather than my own, especially since I fought so hard to go to another school, I simply tell them the truth. I knew more people. Yes, it was partially because I was a cheerleader, but also because my years at public high school are a bit of a blur, due to the copious amounts of pot – I mean – alcohol – I mean – learning I did. You see? I really do need a decompression chamber, for many reasons… not the least of which is to get out of finishing this post. I’ll be over here with my chocolate. 2 Responses to "I’m in need of a decompression chamber"
Too funny . . . you crack me up! Got a good laugh at this one!